Driving for Starr is Fun and Rewarding! Looking for a rewarding new career? Love to drive? Striving to find the top company to join? Already driving and looking for additional part-time work? If you answered yes to any of these questions, driving for Starr could be a great fit for you! Best of all, we’re currently offering a $5,000 bonus for new drivers! Premier, Full Family Medical, Dental, Vision Benefits + Pension! Take the first step in joining the Starr team, apply today! Around the block or around North America, Starr buses are always on the move. As a bus driver you’ll see it all. Comprehensive, full family medical, dental, vision, prescription, and retirement plans. Paid holidays, personal days, and vacations. Get Your CDL... On Us! If you don’t yet have your CDL (Commercial Drivers License) we’ll pay for your training and help you through the process every step of the way. Work part-time and earn extra money. Whether your schedule gives you weekends or weekdays off, we’ll work with you to help schedule what works for you. Work with local sports teams, community groups, tour passengers, and many more. You’ll be going interesting places and meeting interesting people. At Starr, we value every team member’s contribution. We know it takes every member of our team to deliver the best experience in the business, and we want you to be part of that team. We'll Get You Up and Driving! We pay your tuition for CDL B Certified Driving School (a $3,000 value). Through the course, you can get your CDL and in as little as 3 weeks and be ready to start driving shortly after. 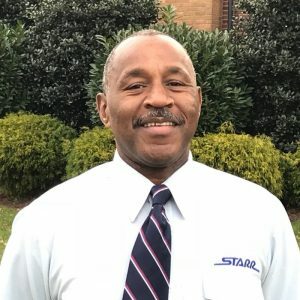 Begin your new career as a Starr Driver! I’ve been working for Starr for almost 2 years. Being a retired owner-operator from the trucking industry I can appreciate working for a family owned Company that treats me with respect and personally cares for me. 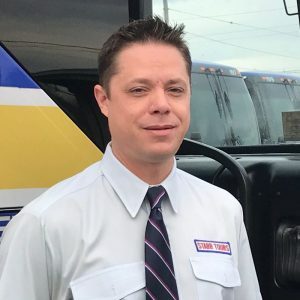 The work is fun and challenging, and I’m driving beautiful motorcoaches. I get to travel, meet great people, and see something new every day. I was looking to change careers and had never driven a bus before. It sounded exciting and fun, but I didn’t have my CDL. Starr paid for my training and helped me through the process every step of the way. Now I’m out on the road seeing new sites and couldn’t be happier. Applying for your future driving career only takes a couple minutes… Do it today!